Knives have been around nearly as long as people, our species in many ways defined by the ability to craft them as survival tools. Just a few years ago, archaeologists in Spain reportedly discovered a small, flint knife crafted by hominids dating back 1.4 million years. The artifact survived in large part because of the dry, dark atmosphere of the caves in which they were entombed. Another factor in their favor: They were made of stone. Blades on most modern knives are crafted with some type of metal, so threat of rust or corrosion is ever-present. 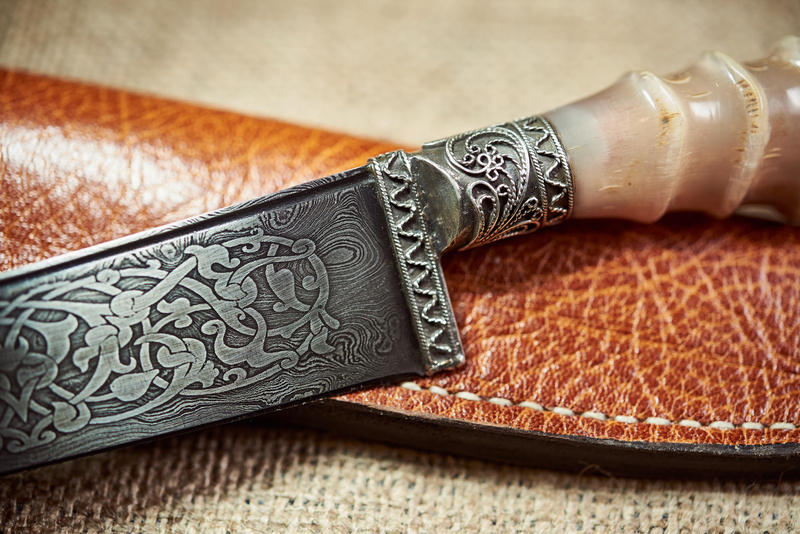 Unless you want to take a stab at stowing your prized antique collectible knife in a near-airless cave for a few thousand millennia, preventing rust will require a proactive approach. Knives are at risk for rust to varying degrees due to the composition and their atmosphere. Many collectible knives made in the 19th century are comprised of some combination of iron and carbon steel. More modern collectible knives, such as the V-42 used in WWII, are forged with these same components. The high iron and carbon content of these blades means knife owners must be meticulous in preventing rust Even stainless steel knives can rust under the right conditions because stainless steel is mixed with alloys to strengthen certain properties. The less chromium in the steel, the more likely it will be to rust. Knife collectors should avoid abrasive chemicals, prioritize proper storage in a cool, dry case and avail themselves of VCI technology to ward the classic rust recipe: metal+air+moisture = rust. For knives not made of iron or related alloys, there is a risk of similarly-damaging corrosion. VCI products by Zerust are helpful in warding off harmful corrosion as well as preventing rust. After a long winter of polar vortexes and record-breaking chill, folks are beyond ready to trade their long johns and boots for shorts and flip-flops. 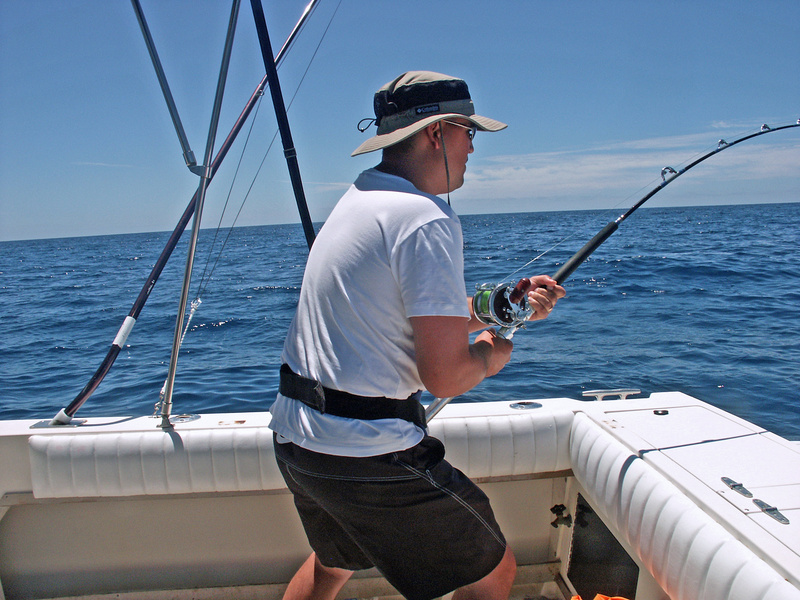 Popular spring break ventures have long included epic fishing excursions, from deep sea charter trips to the more laid back, brackish waters of various inlets and bays. If you’re one of those anglers counting down the days until then, take a few minutes to read up on these saltwater fishing reel and tackle box rust prevention tips from VCI rust prevention experts at Zerust. Decent saltwater fishing reels cost a pretty penny, and top-of-the-line saltwater reels will have you out nearly an arm and a couple sea legs. Your fishing reel is your workhorse, and there is a substantial difference between a fishing reel that works alright for now and one that lasts. Each reel has a range of intricate moving gears and springs that need to turn smoothly in unison in order to ensure top performance. Although any moisture and oxygen contact with metal creates the potential for rust, saltwater environments especially are incredibly corrosive. They can destroy reels and tackle boxes in a hurry if not properly maintained. That includes having a solid saltwater reel and tackle box rust prevention plan.